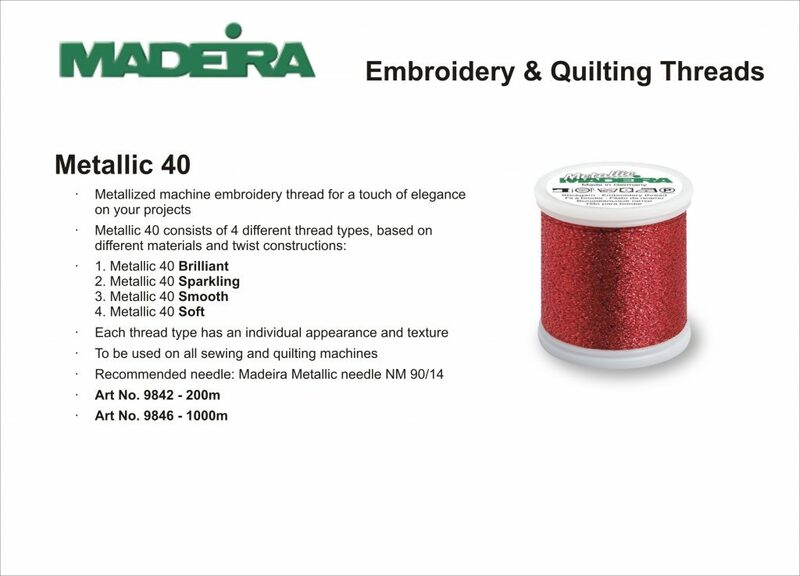 For almost a century Madeira has been designing and producing the world’s best embroidery threads. 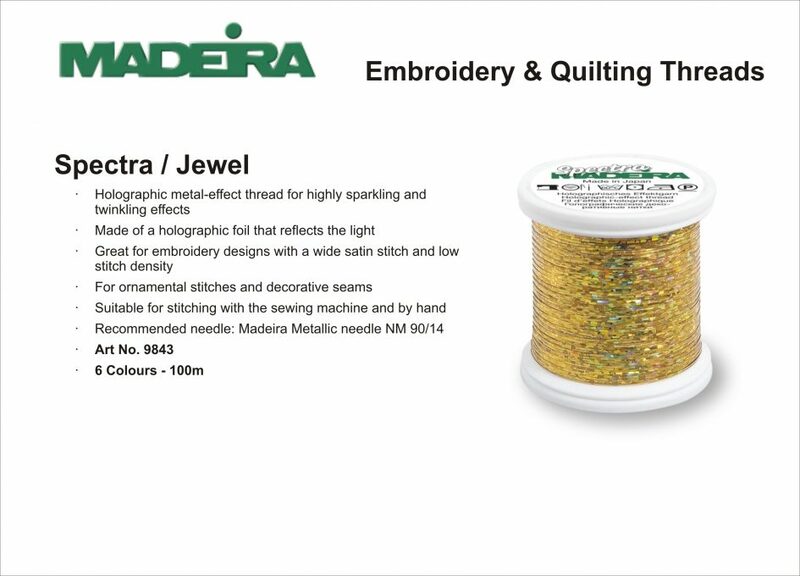 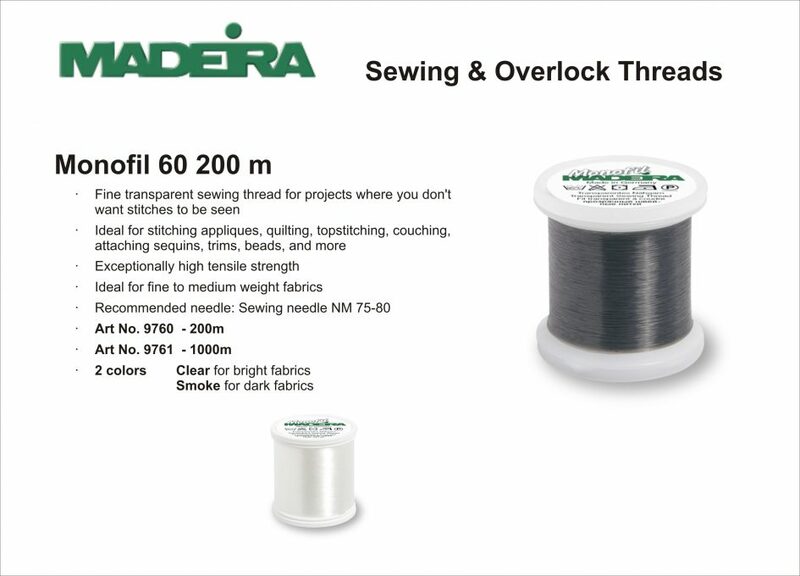 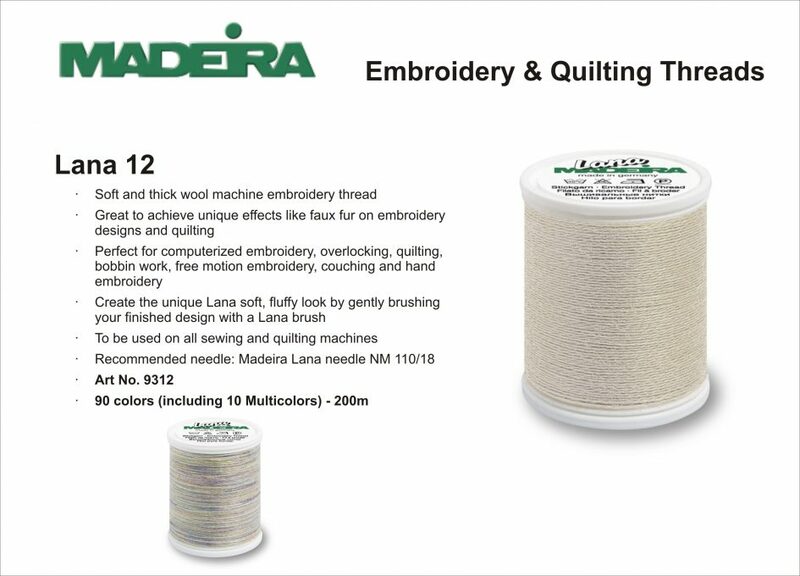 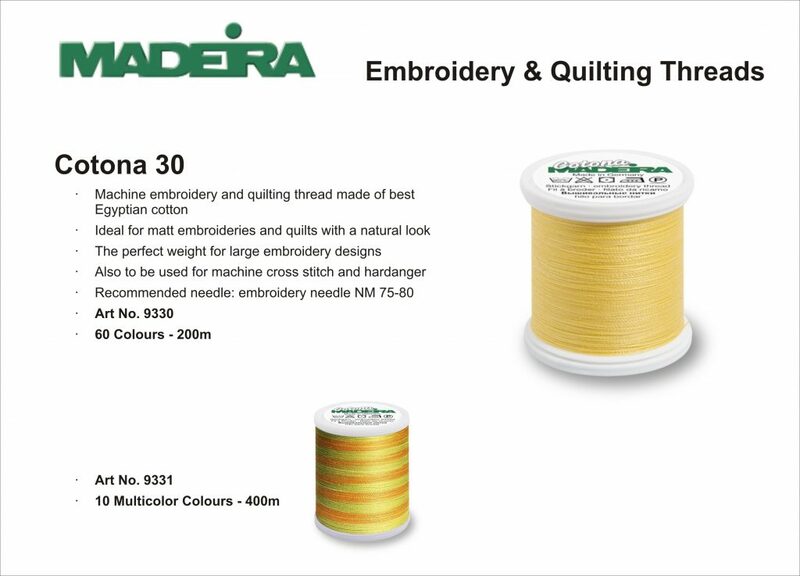 Madeira has created an embroidery thread that will enhance every embellishment and is safe to use for all applications. 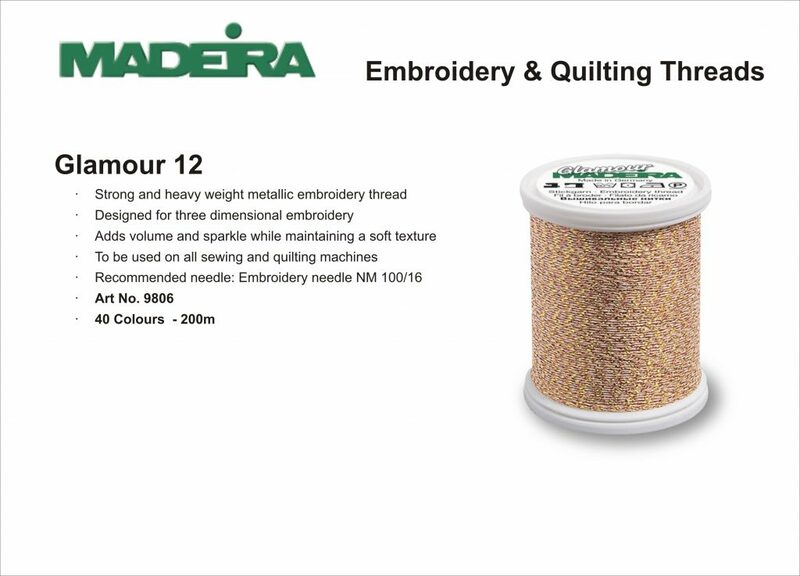 If you don’t constantly try to improve, then you cease to be the best. 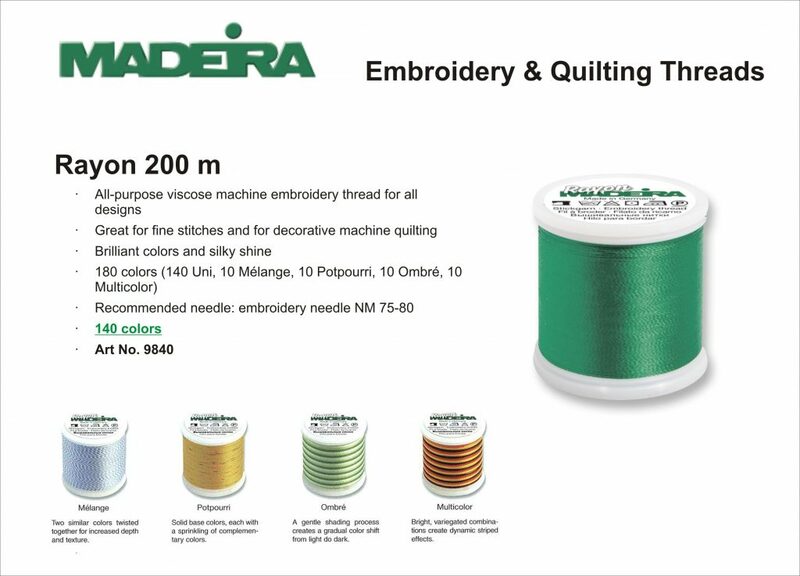 MADEIRA’s corporate philosophy is one of continual improvement. 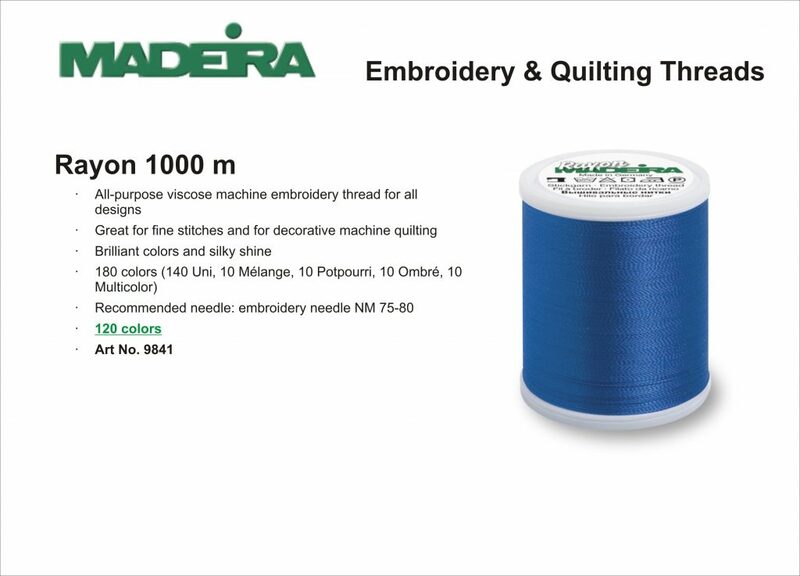 Consequently part of our company philosophy is the constant efforts to recognise trends and styles in fashion at an early stage and to react in a superior manner.